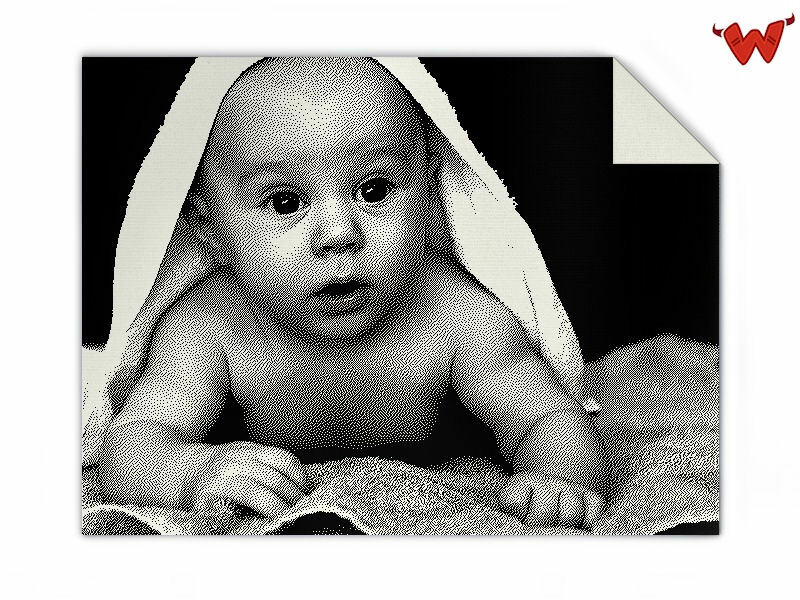 Edit design Baby wool blanket with photo , or create your design from scratch. Create your custom merino wool photo blanket with name or any other design knitted in. The perfect personal gift or present. Design is knitted in a high quality merino wool blanket. Design and order now! Baby wool blanket with photo made to order with your custom design, text, logo. No minimums.